It’s really hard to generalize what the very best approach to Go-to-Market is for a software product. 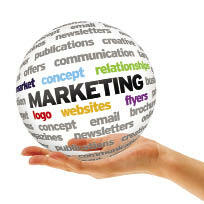 Like most thing in technology marketing, it is highly dependent on the specifics of the situation. Are we talking about a startup or a billion dollar software company?–SaaS, Open Source or a mobile app?–a major new breakthrough application or a follow on to an existing product? All of these question and more matter a great deal as you develop and configure your unique Go-To-Market mix. In most cases in a product introduction of any real note, press relations should be a heavy part of the marketing mix. The exception is minor introductions, usually of existing products, that just aren’t very newsworthy. But in most cases this is indeed the VERY BEST time to rev up the PR machine. Please note that when I’m talking about PR I don’t mean just cranking out a press release and putting it out over one of the press release services such as PR Newswire, Businesswire, Marketwire, etc. That’s part of the puzzle; it might get you some minor press placements and certainly benefits your Website SEO, if you construct the release properly. But to really maximize your Go-to-Market PR opportunity you need to use the human touch. This means contacting and cultivating relationships with editors who cover the beat that is critical to your product category. This is ideally done long before your introduction. If your introduction is newsworthy enough, it may also be worthwhile to engage the services of a PR agency to amplify the press opportunity for your product introduction. But whether you hire an agency or handle PR internally–even in the tech business in this era of technology-driven marketing things haven’t changed much for a very long time. Getting those product reviews and key article placements–which can give your product introduction a huge momentum boost–still requires relationship building. PPC advertising has become a staple of software company promotional budgets. As a result of PPC becoming mainstream, it’s effectiveness and efficiency has taken a hit relative to the “old days” when this was a highly effective marketing activity. But there is still a place in nearly every budget for PPC advertising such as Google Adwords and the Yahoo/Bing network. Go-to-Market is an especially good time for this activity, as one of the strong points of PPC is the ability to start and ramp up campaigns almost instantly. So while other activities in your product introduction toolbox may ultimately be much higher return, PPC can get you started off in the right direction with very early site visitors, leads and sales. If you’re a regular reader of mine, you may be aware that I’m not the biggest fan of spending a lot of money on tradeshows in this modern, online-oriented marketing era. But there is still room in the marketing mix for a strategic show here or there. If it’s possible to align your new product introduction with a particularly appropriate event, Go-to-Market may be the best time to spend money on a show. My reasoning here is that there is just something about personal contact that just can’t be duplicated through most of the generally more efficient online marketing methods. Early in a product intro cycle an industry-specific conference or trade show can allow you to really “take the pulse” of the target market, including testing messaging and pricing with real (and real-time) human feedback. This can be invaluable in catching anything non-optimal in your Go-to-Market approach early on and giving you a chance to adjust it before too much is lost. In addition, the trade press still tends to congregate at important events. This enables you to efficiently improve your PR efforts by meeting with many editors in a single location, in a short period of time–assuming you’ve planned ahead and arranged those meeting early on in your show planning. Editors are in high demand and their schedules fill up quickly, so it’s important to be very organized to make sure you don’t squander this important PR opportunity. It’s often very difficult to establish the perfect price point or structure for a new product, especially if the product you’re launching is novel or even revolutionary. My standard pricing approach is value-based, but in completely new Go-to-Market situations it may be difficult to do a good job of quantifying that value, prior to entering the market. Even with run-of-the-mill introductions your initial ideas on pricing may often be not terribly optimal. Because of this I’ve always felt that a great way to introduce a new product from a pricing perspective is to set your nominal list price at the high end of your range of possibilities–and the then run a series of pricing tests via “special introductory offers”. ALWAYS make these offers time-limited. You can learn a lot about price elasticity by doing this–the tests can be run for different time periods, in different regions or even individual vertical segments. Running these tests can really help you converge in the quickest manner possible toward an optimal list price. You can ultimately adjust your list price toward the introductory prices which yields the best results–all while not jacking around your list price in the near term, which can cause confusion and freeze buyers. A really nice side benefit of these introductory pricing campaigns is that initial sales should be bumped nicely by these special offers. Time-limited offers have a way of accelerating buyer decision making, especially when a product is new and unproven and might not otherwise have a sense of urgency associated with it. So that’s a quick look at some of my favorite Go-to-Market tactics. Obviously there are many more relevant activities that could be listed here. What are some of your favorites? Post them in the comment field below so we can pool our knowledge. I would also point out the assumption that the product should be ready to launch with supporting documentation, white papers, user stories etc. I’ve seen too many launches where the product is still really in beta (yes, I know time to revenue….)! If you are trying to make a product “free to everyone,” does “open Source” make more sense? And, will open source help with service and support…..hopefully developing a following of developers who will suggest changes that will be beneficial for everyone. What do you know about Firefox’s introduction?